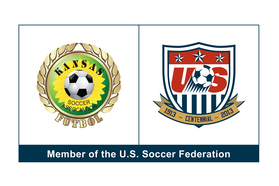 The KSA has been in existence since 1950 and is the governing body of adult soccer in Kansas. It is affiliated with the United States Adult Soccer Association (USASA) and the United States Soccer Federation (USSF). The USSF is in turn affiliated continentally with The Football Confederation and the Federation Internationale de Football Associations (FIFA). The KSA has leagues in all the major cities of Kansas, from Kansas City to Liberal. KSA members are men and women, young adults through veterans, competitive and recreational, indoor and outdoor. The purpose of the KSA is to serve its membership in providing for the development, promotion, supervision, and administration of adult amateur soccer in the state of Kansas.